Began as a fort in AD 54. Was home to the 9th Legion until AD 68 when they were transferred to the fort at York (Eboracum) and were replaced by the 2nd Adiutrix Legion, who were then moved to the fort at Chester (Diva) in AD80. Established as a colonia (colony for retired Roman soldiers) in AD80. By the third century Lindum Colonia was a high status city of 5000-10000 and at the end of the century it became the capital of its own province, Britannia Secunda. 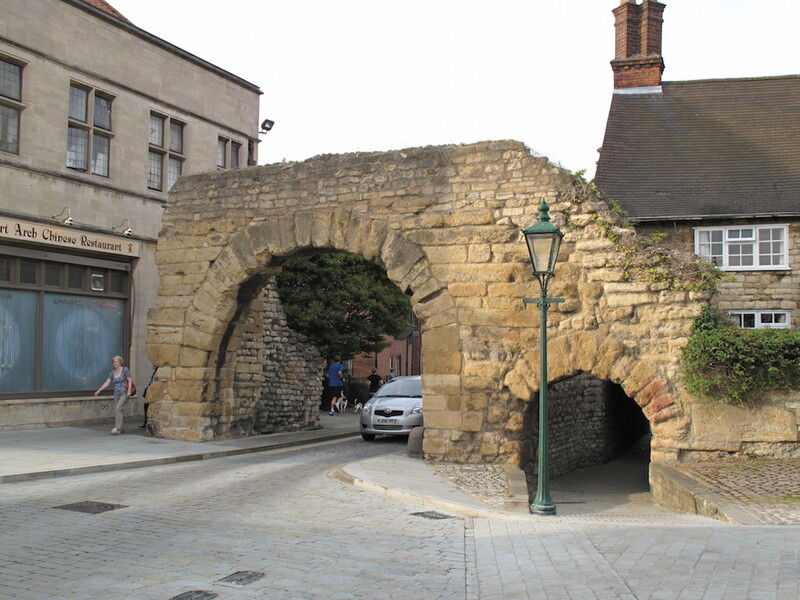 Dating from the 3rd century this arch is the only surviving Roman gate in Britain still open to traffic. Spanned Ermine Street, now the street is called Bailgate. Look up – the house attached to the gate has a chimney built with Roman bricks. Length of 4th century town wall survives east of beside Newport Arch along a narrow lane called East Bight. Segment of aqueduct wall where the water entered the city found along East Bight lane. Located near the aqueduct on East Bight Lane. Lined with opus signinum (waterproof concrete). Could hold 12,000 litres/2660 gallons of water. Foundations of the semi-circular tower of the East Gate survive beside the Lincoln Hotel. The first four steps of the stairway that led to the top of the tower survive. Dates from the 3rd century, this gate had a monumental series of steps leading up the the steepest part of the hill. 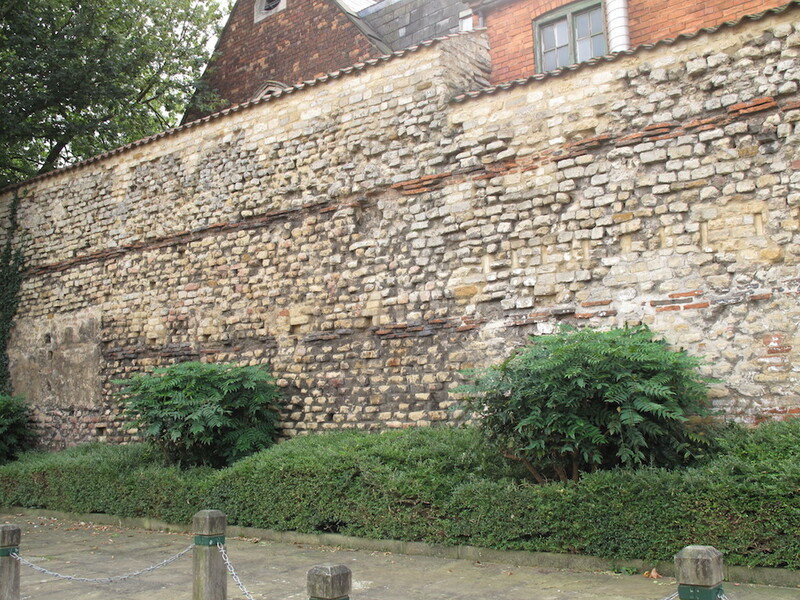 Sections of wall still survive as part of the Lincoln Castle wall. Lower city wall strengthened in the 3rd century, fragments from other structures used in construction such as altars and a decorated cornice. Impressive standing outer wall of the forum basilica found down lane called West Bight. It is 23 m/76 feet long, and stands 7 m/23 feet high above today’s street level, with 2m/6 feet more of the wall buried below ground. Dedicated by Augustus Caius Antistius Frontinus was used in the building of the fourth century East town wall. 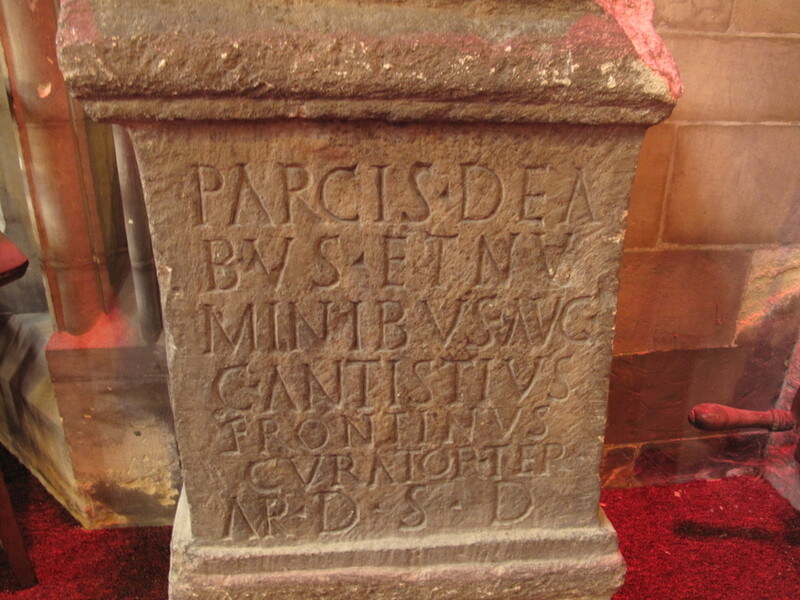 Was found in the ground when St. Swithin’s was built in the 1870s. 44 Steep Hill little section of Roman wall in later wall. Mercury Shoes on Steep Hill has plaque noting a base of a portico. Plaque on Ruddock’s of Lincoln Stationary says evidence found of worship by guild of Mercury.